The Somme department is located in the very north of France, extending from the English Channel to the centre of Picardy. 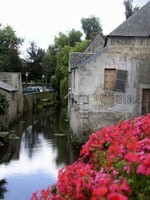 The department takes its name from the Somme River, which runs through the middle. Every year, a large number of visitors arrive to visit the Somme's historic towns, explore the peaceful countryside and pay tribute to lives lost at the site of the battle which took place here in 1916. Le Crotoy, on the Somme's coastline has played host to several famous names over the centuries including Joan of Arc (who was imprisoned here), Jacques-Francois Conseil and more recently, Jules Verne. Slightly further down the coast you'll find St-Valery-sur-Somme, where William the Conqueror set off for England in 1066. 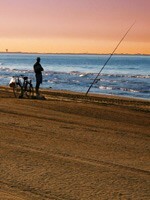 Another good reason to visit the Somme is for its rich fishing amidst stunning scenery. The numerous lakes in the department are stocked with a wide range of fish such as trout, carp and gudgeon and are popular with British holidaymakers. Amiens, the departmental capital, has a trendy and friendly atmosphere thanks to its large student population. The adorable old town nestled along the riverbank is the site of the town's enormous cathedral which John Ruskin described as 'the most perfect creation of medieval Christianity in northern Europe'. The cathedral was built in the 13th century as a suitable place to entomb what was thought to be John the Baptist's head. A number of canals have been constructed around Amiens, which, combined with the Somme River, creates an elaborate waterway system and the need for a large number of bridges. The riverfront is the best place to head for something to eat in the evening. Away from the town, traditional punts are still widely used in order to reach the fertile islands and nearby cross the marshes. The charming medieval town of Abbeville lies at the mouth of the Somme River. At this point, the river is about 20km wide. The town has had a reputation for artistic talent since the 19th century, when people flocked from afar to show off their work and gain new inspiration. Getting to the Somme department couldn't be easier. You can take a ferry to either Dieppe or Calais, take a train to Calais, or fly to Paris or Le Touquet. The property market in Amiens and the surrounding area is largely orientated around French buyers as, so far, British buyers have not shown a great deal of interest in the area. This is by no means the most expensive area of France. However, government investment in the north of the department, which has had a positive effect on the infrastructure and environment, has also led to a slight rise in property prices. The rental market is consistently busy due to the large influx of visitors every year. Do you know Somme better than we do? Do you have photos of Somme? The Somme is located in the north-west of the Picardie region.